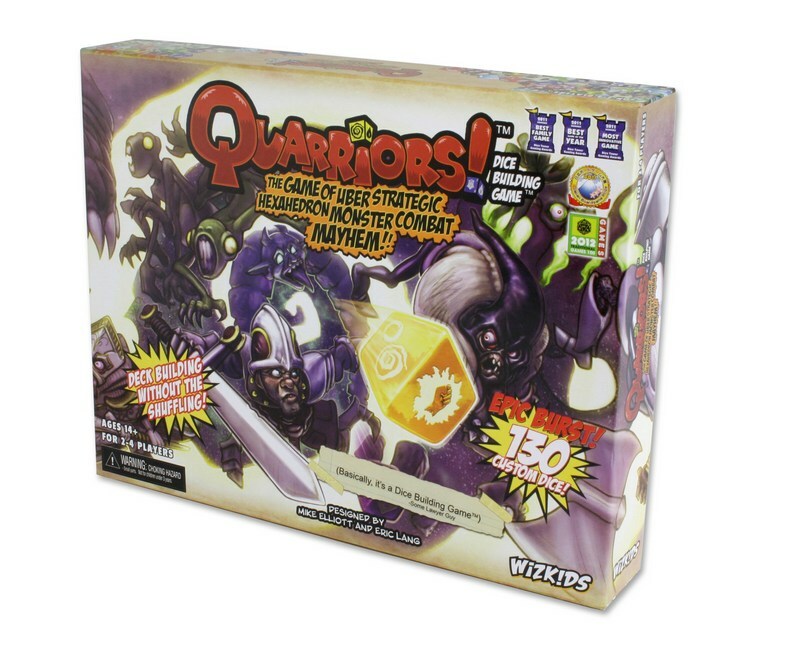 Other products in the "Quarriors" series. This game is modeled after the other deck building games (like Dominion), but manages to incorporate dice rolling into the mix. As such, it is more luck-dependent than Dominion and the others, but as long as you can appreciate a good time where you can try out new and different cards/strategies, this game will be very much worth your time. Lighter, more combat-focused version of Dominion-style deckbuilding...with dice! Seriously, when you open this tin and find 130 dice waiting for you....well... Buy this game. It is a massive hit with all types of gamers and is the perfect crossover game. Not The dice instead of constant shuffling is a nice change from Dominion, and there are enough differences to make it fun. I recommend playing to 40 glory though...it can really flesh out the game.